Proper technique is fundamental for athletes to success in any sports. 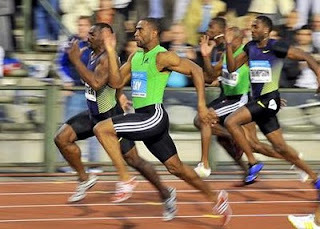 Good sprinting technique allows athletes to move quicker and efficient. 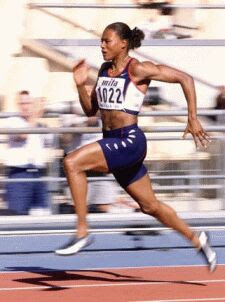 Conversely, poor sprinting technique results in poor mechanics of run and cause the braking action subsequently limiting the potential. Maurice Green once said perfecting the sprinting technique will help a sprinter to run faster with less energy. Head is held high and is the beginning of running tall. The torso is erect and in a position of design posture. The hand of driving arm comes up to the level of the face. The hips are high enough above the ground to allow the driving leg to extend fully to the ground. The ankle of recovery leg clears (i.e. travels above) the knee of driving leg. The ankle fully extends at the end of the leg drive. Head must be tall and relaxed. The spine will be better aligned to hold the body straight, but it all starts at the head. Relax all the face muscles. Keep the head perfectly still. Don't let it move side to side. Relaxed and normal, running just like walking, don't hunch up and tighten shoulders. All arm motion comes from the shoulder joint so it must be loose and free to move. Let the arm swing like pendulums at the shoulder joint. Keep the arms as close as 90 degree angle as possible. Arm swing shouldn't cross the body. Keep the hips tall. Run as tall as you walk. Keep the hips forward and maintain good posture. Focus on moving the hips as you run. Legs should pump up and down like pistons. Emphasize knee-up, toe-up (not heel). Legs should cycle like a riding a bike. Knee recovers up in front of the body. The heel comes up under the hamstring. Plantarflexion (swimming-foot's style) should only occur at push off of the ground. All other times the foot should dorsiflexion (toe up). Use the foot like a spring board. Use the heel only to stop and stand - NOT RUN! Click here to read how to set and move out of the blocks. "No pawing, no reaching, no pulling, just picking the feet up and putting the feet down. The sprint cycle requires only driving the hip and foot into the ground and this sets up the natural recovery, the tighter the heel on recovery the faster the turnover. It is vital that the sprinter plant the full foot and not land on the toe – the heel can hit as well, but the contact is full and allows for the stretch reflex in the foot and ankle and Achilles"
Elbows in front of body. If not in front, limits full knee lift position, increases rear side mechanics. 3) Lower leg mechanics "cues"
"Stepping over the long grass"
Powerful vertical force production into track - only after kenn lift motor pattern has been established. Maximal Dorsi-Flexion at ground contact. Do not try to fully extend thigh with each ground contact. Thigh passes only 20 degree past alignment with upper body. 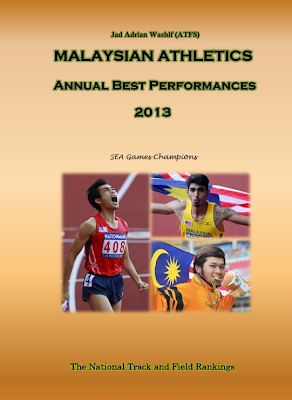 Arm swing can make huge different in sprinting. Arms should swing from the chin level, moving up and down (not front and back swings) with approximately 90 degrees of flexion (not exactly 90 degree) at elbow and about 2-3 inches outwards of the mid line (not shoulder width), and should be symmetrical or balanced. Proper arm swing is necessary to counterbalance the rotary movement of the legs. Keep the elbows locked ans arms short is a good idea to make the arm swing faster. Stride length must be proportional to the leg's length (not that the bigger is good). It's an inaccurate idea recommending male sprinters to run the 100m in 45 strides. Take a look at relevancy and check out on Tim Montgomery 9.78 sec / 48 strides, Walter Dix (9.92s / 48s), Kim Collin (9.98s / 48s), Michael Frater (9.97s / 48s), Trindon Holliday (relatively short sprinter, 5'4", 10.00s / 50s) and many more. Usain Bolt took 41 strides in Berlin (9.58s) but he is 6"5 and has longer legs. Topic of stride length VS frequency is HOT in sprinting! Research have shown that optimal stride length for maximal speed in sprinting is usually between 2.3 – 2.5 times of the athlete’s leg length. 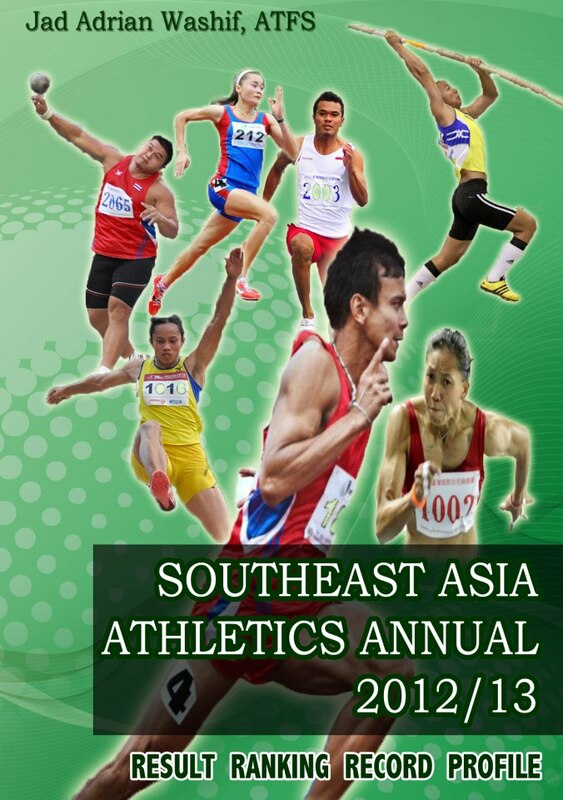 So athletes who have 1.0 m leg length may take a maximum 2.50 m stride length at maximal speed, and you don't really need to match Usain Bolt's 2.8 m average stride's length!. When athletes trying to take longer stride results in reduced in turnover or leg speed. Remember, overstriding creates a decelerative force and slows movement. Improvements in stride length and frequency must happen by making adjustments in overall mechanics and force production. 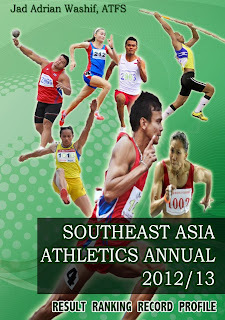 I would recommend those athletes (with 1.0 m leg's length) NOT to take the maximal stride length that suggested in scientific researches. Why? to sprint faster. 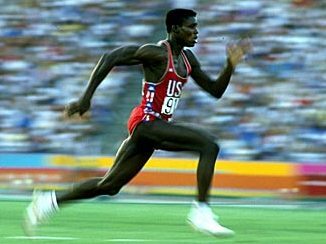 The best example would be Ben Johnson (1.78m tall) who added his total's stride frequency from 45 in 1987 World Champs to 46 during the 1988 Olympics, which then enabled him to run 9.79s (despite of slowing down at 95m). Even Tim Montgomery (same height 1.78m) took shorter stride length (48) when he broke Maurice Greene's World record with a time of 9.78s in 2002. It's clear that world class male sprinters (sub 10.10s) took 41 to 50 strides (not necessarily 45) to cover the whole 100m distances, which is basically dependent on a sprinter's leg length. It's all about to make sure that you running with a proper sprinting mechanics and thus an efficient and faster running can be achieved. In summary, athletes must develop proper, efficient and consistent running mechanics in order to maximize the output of the limbs and muscles during sprinting. Incorporating better methods of training such as good technical and strength development, other variable of trainings etc. are mandatory to maximize the sprinting potential.